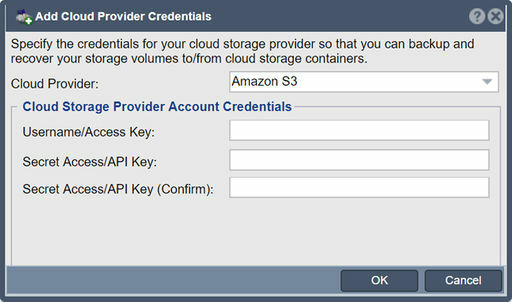 The credentials for your object storage cloud can be found in the security/authentication pages of your Amazon S3, Google Cloud Storage, or SoftLayer Cloud Storage accounts. 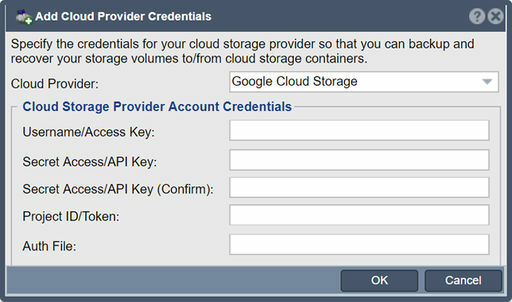 Once added you can begin creating cloud containers within QuantaStor which you can access via NFS/CIFS. Cloud Containers compress, encrypt, and duplicate your data before sending it to the cloud. This ensures data security while minimizing the cost of data transfer fees. This page was last modified on 12 December 2018, at 14:57.